Every so often, I get a comment or e-mail saying that the fashion I post is only for young, skinny things. As a 30-something, non-skinny thing, I always protest and think that readers need to see past the models. But I would love it if we didn't need to contort our imaginations to visualize wearing those clothes. 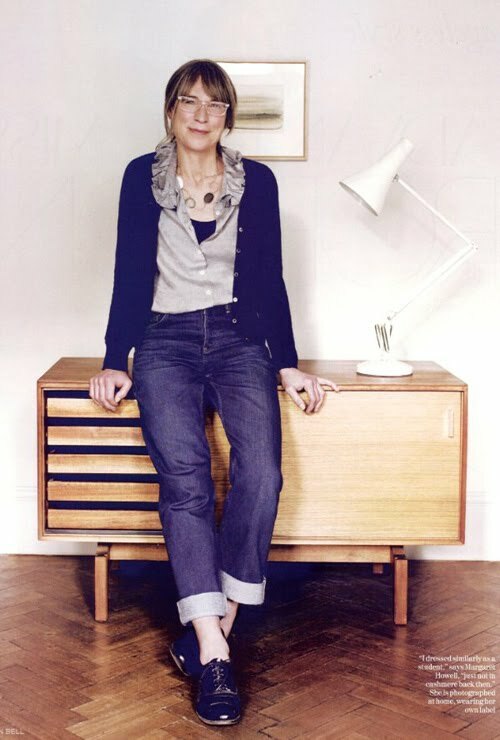 Really, I think I like Margaret Howell's clothes more on her, a 60-something woman, than I do on her models. How awesome is this photo of her from British Vogue?